Welcome to the new GOTTHARD homepage. Over the last few weeks, we have redesigned our design and content. There are many new information waiting for you. 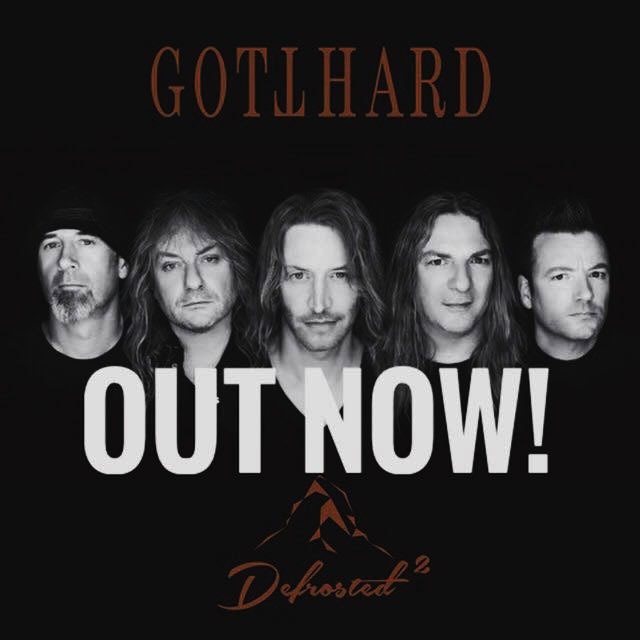 21 years after the first edition »DEFROSTED« the circle is completed as GOTTHARD return with »Defrosted 2«, an ultimate unplugged-compilation of GOTTHARD’s greatest hits, recorded on the “Defrosted Tour“ in march. Even though the concept was the same as it was over 20 years ago – to capture the unique chemistry between the band and the fans – the circumstances that the band finds themselves in are different. Both the band and their audience have grown, and yet after 25 years it’s the same unparalleled intimacy that GOTTHARD bring to their live performances that makes this record what it is. After celebrating their “SILVER” anniversary with their latest studio album that achieved chart records and saw the band play shows at a number of prestigious festivals, »Defrosted 2« combines the pride of their lengthy career by showcasing 22 of the bands most iconic tracks as well as a sense of ambition as the band look to the future with two brand new songs all in the same release. It provides a perfect cross section of the bands formidable career that can be appreciated by all. More about the Album here!